Welcome to Journey's To Joy, Carole. I’ve always wanted to be a writer; I just didn’t pursue it seriously until now. Writing has always been part of my life, part of me. It’s who I am. Nothing gives me greater satisfaction then when I’m writing or have finished a book. I’ve done some newspaper articles, research, and some co-editing of magazines and newsletters throughout the years. I’ve spent time authoring children and youth stories and have written a little poetry. We’ve had a lot of fascinating experiences through out lifetime so its given me lots of fodder to choose from to write novels. But I knew when it was time to turn to writing seriously, and went into it headlong, studying, joining writing associations and critique groups, attending conferences and learning as much as I could. I’ve worked hard and have written a lot. Two years ago though I went through an extremely discouraging time, which is really not like me. I’m more of an optimist and usually bounce out of depression quickly. But that year, I almost quit. Almost admitted I couldn’t write; didn’t have it in me. After a dear older friend sat me down and encouraged me to pray: “I believe; help my unbelief,” I made that my mantra for several months. Early the following year an editor requested the full of this manuscript; I signed a contract later that year, and the rest is history.  What if a woman suffered a terrible hurt through the cult?  How would she feel?  If she didn’t have God in her heart, how would she react? And the question begs to be answered. Could you--or I--forgive? I know it’s easy to say, “with God’s help I would.” But I’ve seen people’s reactions. I’ve wept with them over the inexcusable deaths that happen, and I will say, sometimes, most of the time, it takes God. Without him--it’s a seemingly impossible act. I want readers to realize there is always hope. No matter how deep or how bad a person may sink, hope is always there! People don’t always look for it in the right places. Most times, people, money, jobs, and position will never give the kind of hope needed. Only God can offer it. 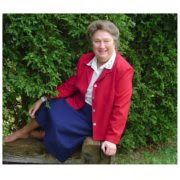 Carole has promised to give away a book ~ Winner's choice ~ E-book or print to drawing winner recipient. The tenth commenter will also receive a book of choice in print or e-format as well. Thank you for visiting this week on Journeys To Joy, Carole. Please let us know when your next release is to be, and we'll have you back. Thank you, Joy. It's such a pleasure to visit your lovely blog, and I appreciate your efforts in encouraging authors. 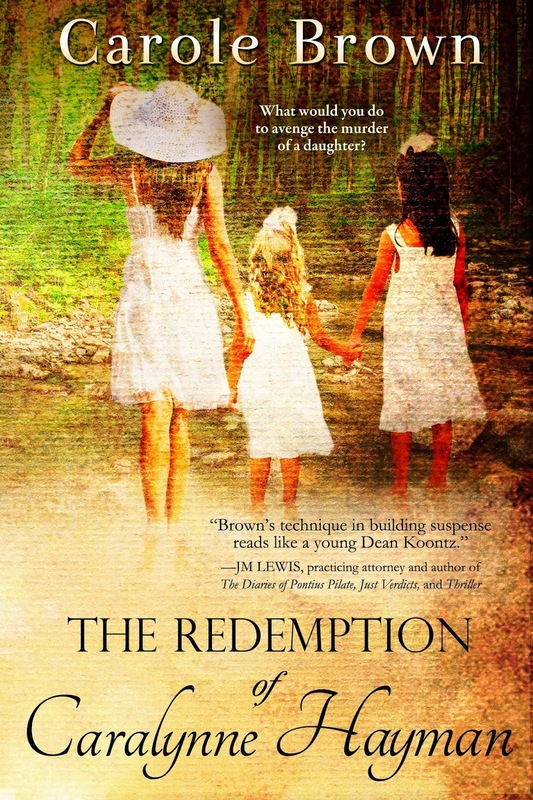 Joy, thank you for the wonderful visit with Carole and her new book, The Redemption of Caralynne Hayman. I am intrigued by what I have read and would love to win a print copy. Thank you. What a great interview. Thank you so much for this chance to win your book. I would love to read it. I would prefer a print book. Wonderful interview with Carole. It's always nice to "know" an author better through sharing this way. If I happen to be so lucky to win a copy of Carole's book, I'd prefer a print copy. Thank you for offering this contest! 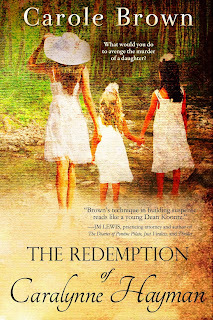 Melanie, Cheri, and Nancee - welcome to JOURNEYSTOJOY and I'm placing your names in the drawing for a free book. Spread the word - we're only a little more than twenty-four hours away from the drawing. . .a tenth comment will get that person yet another book. Thanks for stopping by. Carole's book is a TOUGH book and oh-so-prevalent. Nice interview, Joy. Would love to read Carole's book. Thanks for offering a copy. Will be posting the winner late Monday night. LH, hope you do take the opportunity to read it! Tough topic? Yes. Prevalent and relevent in today's world? Very much so! Thanks for stopping by. Pegg, thanks for stopping by and for the advertising. I've seen several of them. Love the support. Melanie, appreciate you leaving a comment, and truly do hope you will have the chance to read the book. Thanks! Cheri, appreciate so much you stopping by and hope you'll enjoy reading the book soon. thanks! Nancee, honored you stopped by. Hoping soon you'll have the chance to read my novel. Thanks much. Rebecca, hope you'll soon have the chance to read TRofCH. Thanks so much for stopping by. Sounds like a book I would enjoy. Joy: Eformat for me--you know how to find me! Got your comment, Kim. Don't know why you got a failure/error message, 'cause you're here and YES, I do know where to find you! This sounds like an amazing book, Caroline. Breaking from a cult is an issue that I haven't seen addressed. I'm glad your friend sat you down and gave you encouraging scriptures. I have a friend who threatens to kick my posterior with her sharp-toed boots if I don't keep at it. LOL. This sounds like a really intriguing book I'd love to read. Prefer print copy. pdyer3 at cfl dot rr dot com. This premise is fascinating, Carole. Can't wait to read the book. And it's only $3 at Amazon for Kindle! Sounds interesting! Thanks for offering this giveaway. We've got your names added to the drawing and one of you is no. 10 - getting you a free book as well. Katherine, Laurean, Pat, Natalie and Kara - THANK YOU SO MUCH FOR STOPPING BY today. I know you won't be disappointed in getting this book - winning or purchasing, either way. Comment no. 10 - PAT DYER is an automatic winner - Congratulations, Pat. A print copy will be wending its way to you - soon! Drawing winner is: DRUM ROLL. . . .
Laurean Brooks - Congrats to you too. Thank you, ladies for stopping over here and leaving your comments. You did so much to promote this, I am so very grateful! Kimberly, thanks so much for stopping by! Appreciate it. Katherine, you sound like a writer's dream. lol. Thanks for commenting and hope you get the chance to read my book. Thanks, Laurean, for commenting. It was a tough topic, but God has helped every step of the way! Pat, thanks for stopping by! Hope you get to read the book. Natalie, looking forward to hearing how you liked the book! Thanks for stopping. Kara, so appreciate you taking the time to comment! Hope you will read my novel. Thanks!